Clarence James was born in Cook County October 1, 1887 and was educated in Denison’s public school system. He spent his life working in newspapers. When he got to Waco in 1911, he helped publish the first copy of the Waco Morning News. James also sold cotton in those early years. He and his wife loved to travel and collected china plates along the way. They were featured in a 1956 Waco Trib article because their plate collection had grown to require its own room at their house on Pine Avenue. Clarence’s favorite plates were related to freemasonry: one depicting the Grand Lodge of Oklahoma and several recognizing Masonic roles he himself filled at various times. His church was St. John’s Methodist and he joined all the Waco Masonic orders but considered Waco 92 to be his first love in Masonry. He was Worthy Patron of the Eastern Star’s Mclennan County Chapter 639 for a number of years. He lived in a two-story home at 1225 North 5th street which is still there today. 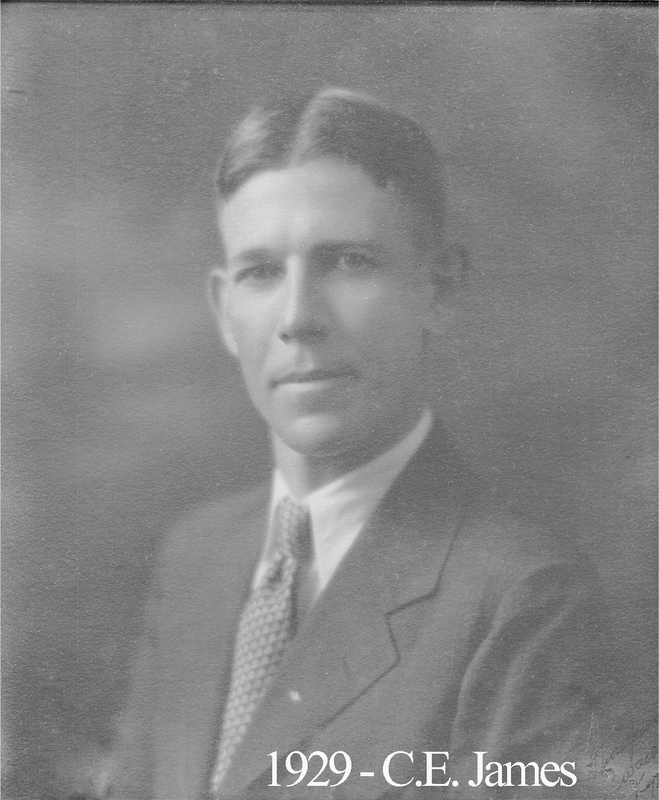 James was also an officer for the Waco Typographical Union for many years.